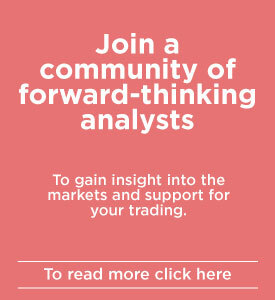 This website contains a wealth of online resources to help you learn about technical analysis and to keep you informed of developments within the ATAA. There are many hundreds of articles and presentations available as video, audio and presentation slides. 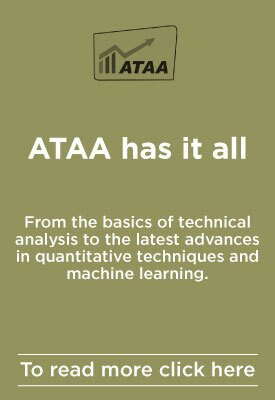 The ATAA is now employing high-quality recording techniques and this collection of recordings will rapidly grow as we add more presentations and articles. Some of the older presentations are of a poorer-quality recording, but are retained for their content. They may be phased out over time. Guests and registered visitors can browse the library but only members can see the actual articles and presentations. Presentations from conferences will be restricted to attendees for two years from the date of the conference. This facility allows people with expertise to regularly contribute thinking on relevant topics on a less formal way, primarily for the originator’s writings, compared to the Forum which allows discussion and conversations on streams of topics. A monthly Newsletter, The ATAA Blast, is posted here. It contains news from the President, updates on new developments within the organisation, articles and discussions on various TA topics, and details of Chapter and SIG meetings. Historical newsletters are available for browsing. 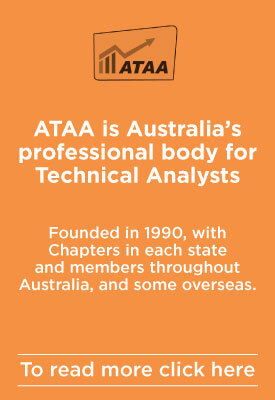 The ATAA Journal is no longer published since communication and articles now appear in the newsletter. All historical journals are available here for their wealth of content. This is a facility for members who provide relevant services to promote them at no cost to members and guests (eligibility included in the annual membership fee). There are rules to maintain integrity, and they should grow to be a valuable resource for both member providers and users of the services. The large DVD library of presentations is available free to members, except for the cost of returning the DVD in the included packaging via the post. On this page, you can make a selection of DVDs, and they will be sent to you one at a time as they become available. This is the place for Chapter Councillors and members to post details of items of interest to their Chapter, such as extraordinary events and other news. Here you will find news and information about what’s happening in each of the Special Interest Groups. Last, but by no means least, is this collection of links to websites relevant to members. This will be growing and will be a great repository for valuable resources, such as data vendors, educational sites and software products.